You may have heard a bit about the recent FCC repeal of net neutrality. This was done on a purely partisan basis led by Chairman Ajit Pai, who is perhaps not the most public relations-minded chair the commission has ever had. Pai’s case is not helped by the fact he knew his arguments in favor of repeal were not entirely true. You may have heard a good many doomsayers with their predictions about what would happen. They are correct except that it will be done in bits and pieces rather than overnight. How do we know this? Internet service providers (ISPs) have tried it before. So, this blog is intended to be a real look at what neutrality is, how the repeal works, and why the change is bad for everyone involved with telehealth. Net neutrality has been an underlying assumption of how online traffic would flow from its very inception as a civilian infrastructure resource. How do we know this? Sir Tim Berners-Lee, the grandfather of the internet, told us so. The idea is that an ISP has to carry traffic, called packets, regardless of the source, destination, or content. Without neutrality, they can “read” the information sent and slow it down or prevent delivery entirely. We know this because they have all done so at least once in the past. Before the implementation of neutrality laws in 2015, there was a legal gray area and several firms tried breaching neutrality. Their efforts were quickly shut down. The reasons these companies cited were because they wanted to sell special streaming packages for video, the content was political in nature, and they wanted to quash innovative competition. In Canada, a similar effort had a telecommunications company blocking the site of a union then in a dispute with it. So, net neutrality repeal is great if you have no qualms about your ISP telling you what you can read or view and how quickly. But if you want access to a wide array of news on science, politics, arts, and other things that might be seen as contrary to your ISP’s interest, and especially their political connections, the repeal should have your hackles raised. 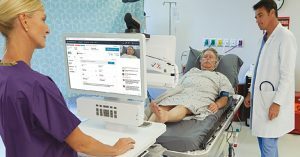 For telehealth specifically, the major concern is the ability to stream large amounts of real-time information from one user to another. In healthcare, especially emergencies, seconds matter. Repeal is almost certain to make telehealth use much more expensive for everyone. 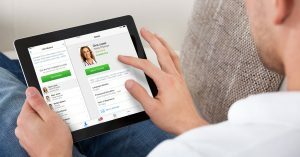 Mike Baird, Avizia CEO, has said, “For example, if internet service providers begin to prioritize certain types of traffic or demand higher fees for priority routing of things like a video consultation – this will add costs to the delivery of telemedicine – particularly hospitals in rural areas. Ultimately these costs get passed on to patients and will hamper the adoption of technologies like telehealth.” This is optimistic. ISPs have done exactly that before 2015 and did it again this year in anticipation of repeal. 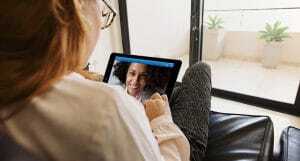 Repeal will raise costs to telehealth users, meaning fewer people have access to healthcare, meaning more people will die who could have been saved. This is just one of many Trump Administration changes that guarantee more people who are not among the ultra-wealthy like he is will die for no other reason than because they are poor by his standards. But there is still hope. Congress has the power to tell the FCC to reinstate neutrality. ISPs have made contributions to 265 sitting members in both Houses of Congress and the FCC ignored the 83% of Americans who opposed repeal. Contact your Representatives and Senators and tell them to reinstate net neutrality.